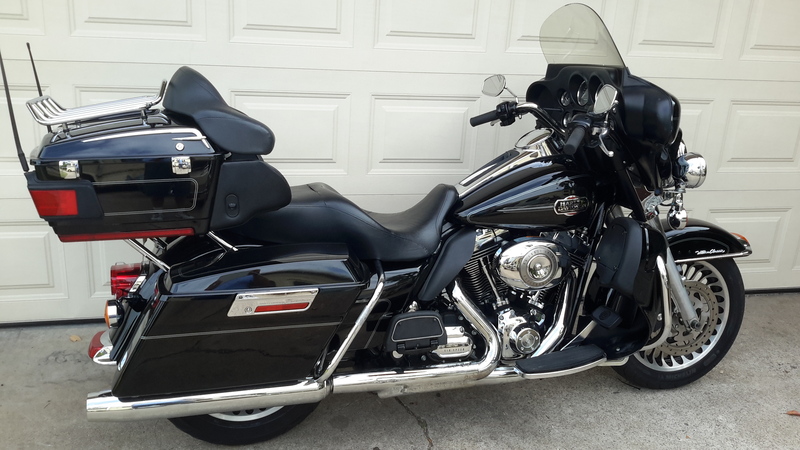 This is my 2009 Ultra Classic that I just purchased. 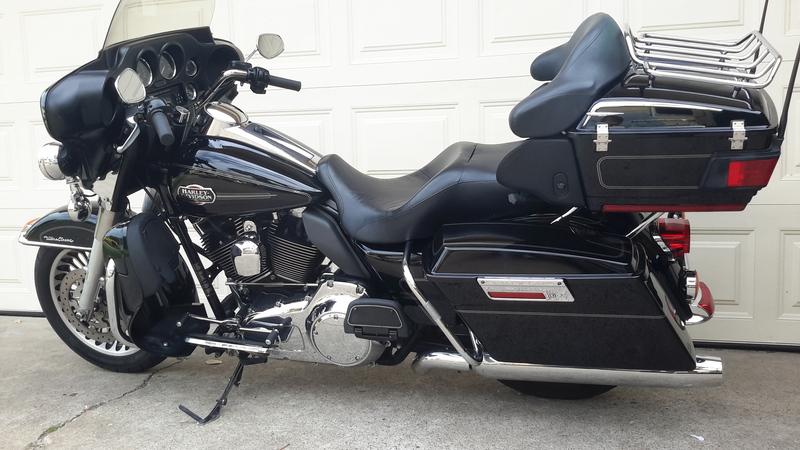 Other than my old 65 Sportser I have never owned anything HD. I sold my GL1800 awhile back in anticipation of purchasing a new big touring bike. My wife wanted me to purchase an HD for some time so I was ready to purchase the new Limited Milwaukee 8 when Honda released the news of their new Goldwing. It was then that I decided to purchase an older HD and use the funds for the potential Honda when the new Wing hits dealer showrooms in spring of 2018. 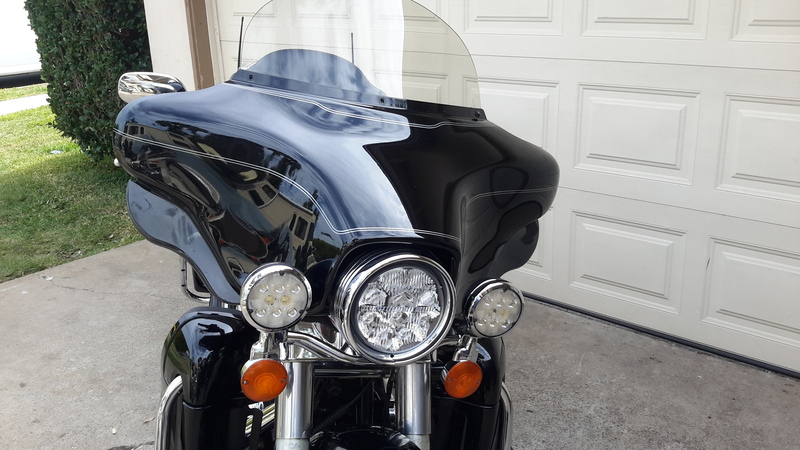 I don't know if I'm going to be all in on the new wing but time will tell......plus since HD baggers kinda look all the same I figured it would make my wife happy at a 1/4 of the price of a new one. I know it doesn't have clubmans or bar ends or tail loops or skateboard deck seats and it may be of little interest to some.......but to me I am pleasantly suprised at its performance....fit and finish.... and it's real nice slow speed manners. Since I am "ridin dirty" (no plates or tags yet) I am limited to my neighborhood ....... familiarizing myself with it at lower speeds. Braking is nice and predictable. The low end grunt feels better to me than the 1800......and the belt drive is pleasantly smooth and quiet. 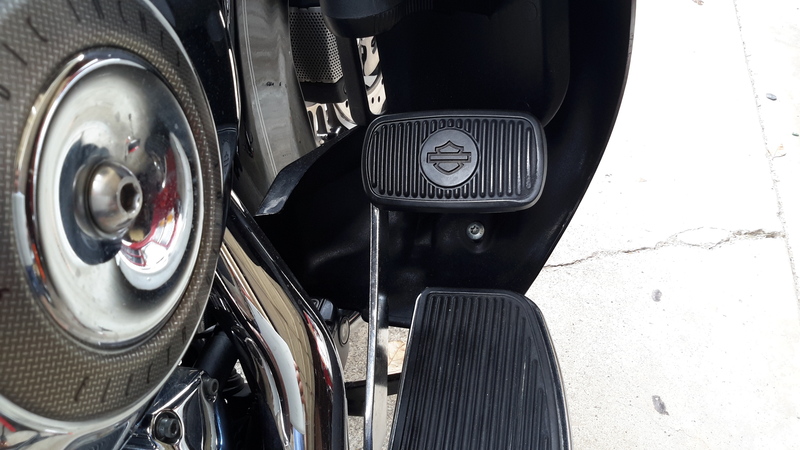 Some of the things that are different to me is the gear shift lever and the brake........too far forward and awkward to someone not use to it. Neutral is hard to find. The blinkers are on both sides and both switches which seems more natural and easy but hard to get use to after 35 years of "not that". The vibration is something else. Having smooth touring bikes and just smooth bikes in general it will take some getting use to.......the vibration. The funny thing is that when your above 2200 rpm it feels nearly Goldwing smooth. I'm anxious to get it on the highway. For now I'm really trying to get use to the rear brake location and response. As you can see in the photo I am melting my show trying to find the rear brake that is not in the location I have been use to all my life. And that rear peddle is as large as the one on my 1972 El Camino. 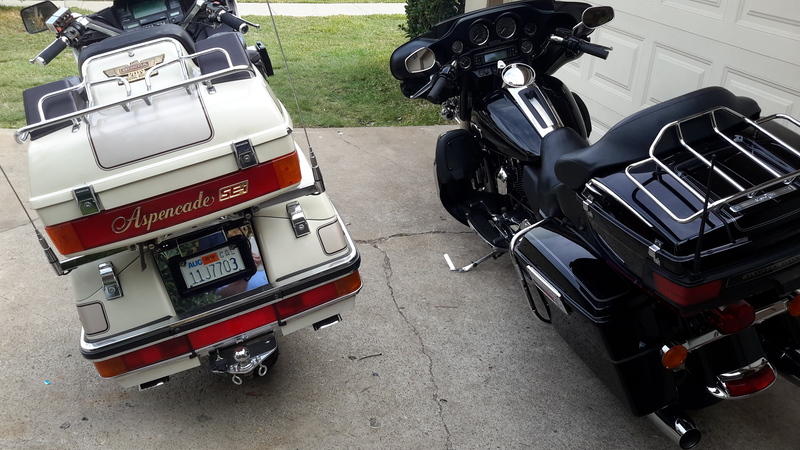 So for now the 1200 has another touring stable mate.....until next year when or if I pull the trigger on the new wing. I haven't ruled out the BMW 1600 either......which seems to be getting nice reviews....at least from the owners I talk to. Last edited by knappyfeet; 11-07-2017 at 02:08 PM. Geeto67 and drgonzo like this. My hemorrhoids would explode if I went rigid. And taking off half the weight would still make it nearly 500 pounds! It's not quite what I thought it would be. Nice power and a nice ride and it handles better than i thought. It's still hard to get use to that vibration....especially off throttle.........and those forward controls. area. The "right" scenario results in a catastrophic motor failure. There's more to discuss mechanically and a lot electrically but it's simpler to just say "Extended Warranty". If you have it, you won't need it. On the real tho......... thank you for the information. Someone told me about the chain tensioner problems and the catastrophic result a friend of his experienced. The Mil 8 also vibrates but not as bad.......and from my understanding they engineered a little vibration into it for the faithful. I'm hoping this will be a good experience for me......and so far it is. how hard/expensive would it be to pull the motor and do some preventative maintenance/modifications? You know I entertained that thought for about 3 seconds.......after I was informed about the cam chain tensioner problems for my model and the like. The previous owner took it in for all the recalls but none of them were to address the tensioner......rather they were BS stuff like wiring, frame brace, etc....I believe 3 items in total. looks like you're going to have to do an LS swap then. Meh - they're not hand grenades from stock. 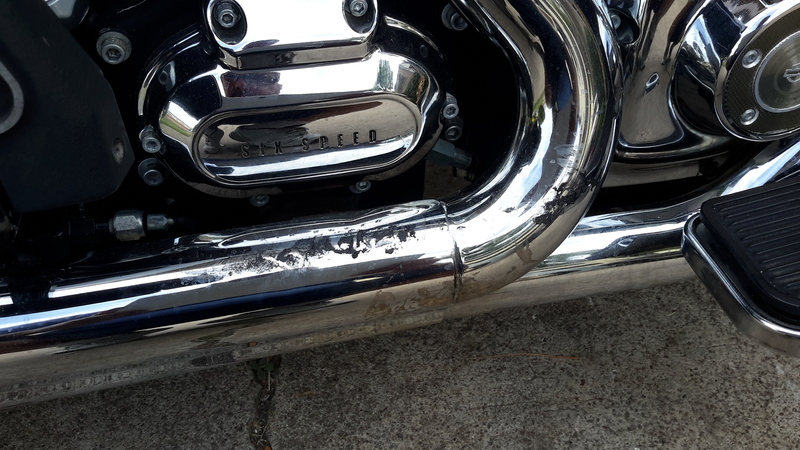 My buddy rode his 06 SoftTail for 120K klms before he had it rebuilt. New aftermarket 95ci kit, later model cam chain tensioner, heads re-valved (I think) and it's good to go for another however long. I think he's got 150K on it now and he's pretty much spent nothing else on it apart from consumables and farkles. He's still on the original drive belt. From what I recall the 06 had the real dodgy CCT's - later model ones were more durable. Cam gears are a mixed bag due to the crank flex / run-out. If they run out too much things go bang. Chains are much more forgiving. And that rear peddle is as large as the one on my 1972 El Camino. And it probably has to try and stop about the same weight. Good looker. Meh - they're not hand grenades from stock. My buddy rode his 06 SoftTail for 120K klms before he had it rebuilt. New aftermarket 95ci kit, later model cam chain tensioner, heads re-valved (I think) and it's good to go for another however long. I think he's got 150K on it now and he's pretty much spent nothing else on it apart from consumables and farkles. It sounds solid....no funny noises to my ear or no leaks or signs of leaking. Stock exhaust so it's not overpowering the neighbor hood when I leave. 6th gear is tall.....way tall and a nice highway gear. What's interesting is that at around 900 lbs......it really doesn't feel like it. It can be maneuvered easy and it's low center of gravity makes slow speeds easy........much easier than the GL1200. Sometimes I think it's lowered. Maybe it isnt and it's just stock but it feels lower.